Check out our pretty floors! We finally picked them tonight. 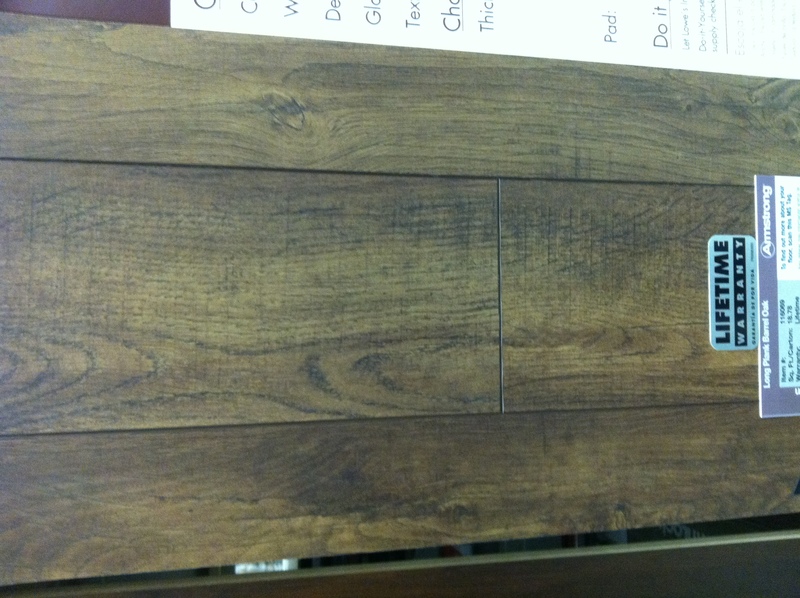 This is the same flooring I’ve been going back to, but it’s my favorite by far. And, of course, it was the priciest. But I think it will look b-e-a-utiful. 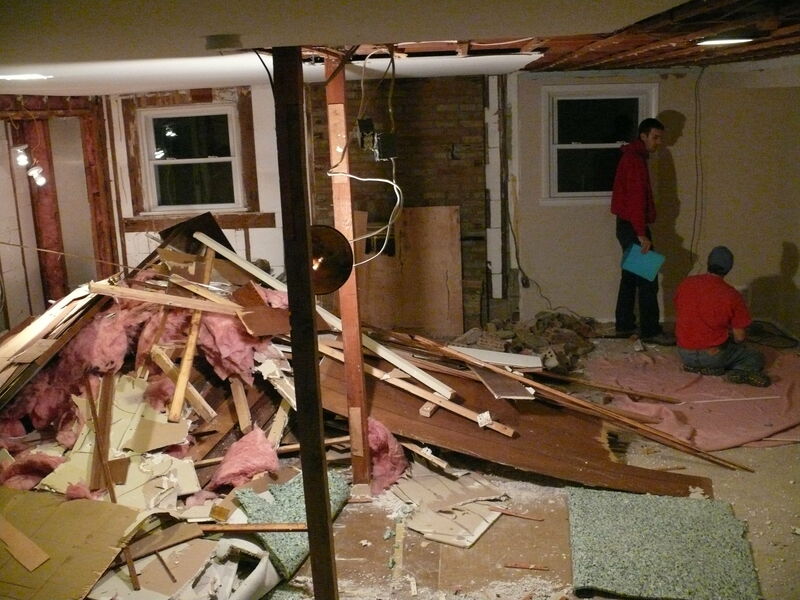 In other news, Glen came over today and ripped out the rest of our family room. Wanna see? Of course you do! OK, that’s just a sneak peek… I have a bunch more to show tomorrow! But I’m super sleepy, so this will have to do for now. When we took it to the dump it weighed 3,000 pounds!! Holy cow! Our floors should be in tonight — I’m very excited to see how they look in our family room.